Green tea is a common drink to have. It’s extremely healthy for you. What exactly are the benefits you’ll be getting? Teas have different kind of effect on our body. However, none of them has the same benefit with green tea. This drink will improve your health in many ways. Green tea is loaded with antioxidants and nutrients that have a great effect in our body. These include weight loss, lower risk of cancer, improved brain function and lots of impressive benefits. Several studies show that consumption of green tea is associated with weight loss, specifically around the abdominal area. It has been known to increase metabolism. Increased your metabolism means that your body is burning its resources in a faster rate. When you hear the word “cancer”, you right away think the worst disease. And it’s not something anybody wants to deal with. Green tea has the ability to lower your risk of cancer. As I mentioned, Green tea is loaded with antioxidants that help reduce your risk of cancer. Since cancer is aided by oxidative damage, the antioxidants from green tea will provide protection from it. 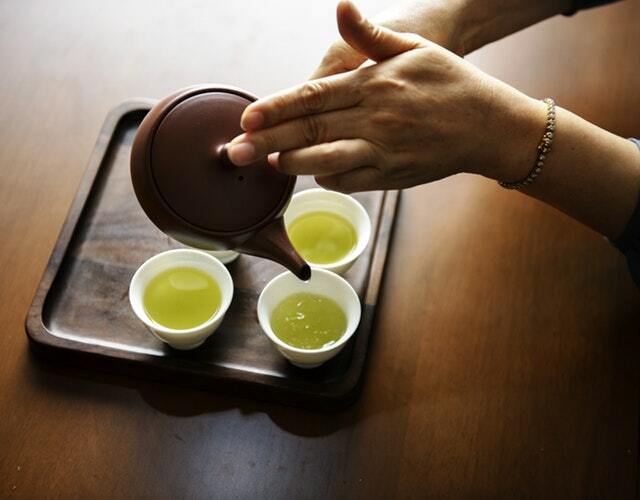 Drinking green tea regularly will lower the risk of developing breast, prostate and colorectal cancer. Green tea’s main ingredient is caffeine. It’s give you the feeling of having an extra boost of energy. Caffeine is a stimulant that affects the brain directly and increases its alertness. This means that drinking green tea will increase your energy along with your memory. Since green tea increase brain memory, it also helps reduce the risk of developing Alzheimer’s disease. Heart disease and stroke are one of the leading causes of death everywhere around the world. The main cause of these diseases is the body’s cholesterol levels. Green tea lowers your bad cholesterol due to the contained antioxidant. It will reduce the risk of developing a cardiovascular disease. Apart from the cancer prevention capability that attributed to green tea, new study has proved that it can also prevent the risk of having type-2 diabetes due its glucose tolerance. Green tea is contained a substance called polyphenols, an antioxidants found in every plants. According to Dr, Steinbaum, “Polyphenols help reduce oxidative stress and cause vasodilation (widening of arteries), which decreases blood pressure, prevents blood clotting and reduces cholesterol”. Polyhenols in green tea helps regulate glucose in the body to prevent or control diabetes. Green tea is a packed full of health-promoting compounds. These incredible benefits of green tea should not replace the healthy diet and regular exercise program. This isn’t something that you should be taken lightly. If you’re serious with your health, you should consider green tea as part of your daily meal. Regularly drinking green tea will help you lose weight and reduce the risk of several diseases, including cancer, heart disease and diabetes. Start drinking three to five cups of green tea per day to reap its most health benefits. Don’t just drink to taste, drink it because of it will help you to live a better lifestyle with a fewer complications. In fact, drinking green tea may greatly improve your health.